Bennie and the Pets: Animal Radio with a Clear Conscience! Pet Radio! Animal Radio with a Clear Conscience! Anthony and Amanda Bennie are pet care industry Icons with secrets to reveal and exciting new innovations to share! How does Bark Your Biz work? We refer to Bark Your Biz as the "Tank Without Sharks" because we offer the opportunity for entrepreneurs to practice their pitch without the pressure of investors deciding their future. Unlike any other entrepreneur TV show, Bark Your Biz incorporates the element of competition among the 3 or 4 presenters on each show. Based on the criteria of Presentation, Product, and Potential, the hosts and panelists fill out scorecards and the highest scoring entrepreneur is declared the winner. The Best Barker of Pet Connections Expo 2018 is Anne Carlson of Jiminy's! Her company will receive a Pet Connections Expo $500 booth discount as well as three hours of follow-up consults with the expert panelists. All other entrepreneur's receive $100 booth discounts and one hour of follow-up consults with the expert panelists. Follow the Bennie & the Pets Podcast for future Bark Your Biz episodes as well as other stimulating and sometimes controversial commentary and guests devoted to "all things animal." BARK YOUR BIZ! The ONLY elevator pitch radio podcast in the known universe. A new creation by the Bennie & the Pets team. It's a combination of Shark Tank, American Idol (without the singing! ), and Jeopardy! Tom Grant, the Founder of Molly and Friends Cat Furniture Co.
Tom Grant owns a factory that builds top quality cat furniture such as cat trees, habitats, and modular wall units right here in Gainsesville, Florida, USA! He is not shy about the challenges of dealing with buyers who "don't get it" when it comes to distinguishing the difference between cheap Asian-made imports and his best-in-class craftsman level creations. You'll also enjoy his take on how to respond when potential buyers ask him to make his products as private label to sell under their brands! (Hint- he does NOT think it's a good idea!). Keith Williamson, V.P. of Marketing, Ghost Controls LLC. Ghost Controls is a large technology company best known for making automatic entry gates for everything from residential driveways to major commercial facilties. But Keith came on BARK YOUR BIZ to talk about their new product, an automatic door opener and closer for chicken coops! Rauising chickens isn't just for farmers these days, and has become quite a growing phenomenon in suburban and even urban areas. Keith does a great job oof pitching this coool new product that could save time and even save lives as it protects chickens from predators like raccoons and foxes. Jonathan Rovner, the Founder of Lillian Ruff. Lillian Ruff is a creator and direct manufacturer of top quality beauty aids for dogs based in Long Island, NY. The line includes shampoos, conditioners, dry shampoos, and even breath spray! The line has beeen very successful and enjoys strong online sales. Listen as Jonathan discusses his branding and faces some tough questions from the Bark Your Biz expert panel but emerges as a strong Barker! Mandy Diaz, the Founder of Pawty in a Box, makes a party kit for dogs! Her box has everything that you need to have a birthday or just for fun party for your dog, with dogs as guests. Mandy was our very first guest and she held up well under the probing questions of our very own "Miss Wonderful," Tazz! Well done for a first outing, thanks Mandy! 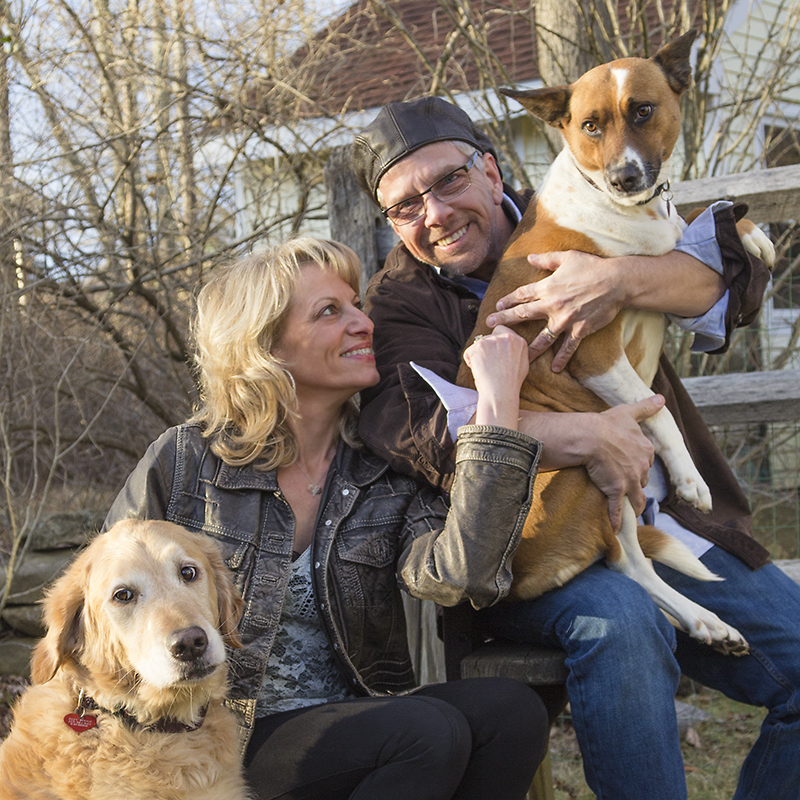 Kim Loper is the owner of Life is Grruff, a retailer AND manufacturer of natural baked dog treats from Greenport, NY. Short but fun conversation! Join Anthony and Amanda as we interview Tony Sawicki, creator of the Urban Animals TV show, and Robbyne Kamil, Executive Producer for the show. This is a GREAT opportunity to get a sneak preview of this unique new show before it hits the national PBS network in the Fall! Clear Conscience Pet and our Bennie & the Pets Podcast wish the Urban Animals TV show all the best as the program makes its national launch on PBS! This innovative, thought provoking show fascinates and educates us about the many species of animals who live among us. CCP shares the program’s commitment to respectful and responsible stewardship and guardianship in our relationships with animals. We’re honored to be part of the Urban Animals family as animal nutritionists and media sponsors. Shirley Szabo of Andrea's Silicone talks about her attractive and durable line of silicone trivets, cap openers, and placemats with embedded cloth designs. We also talk about how it must be lonely for her husband to make enough products for over 2000 retail stores!